Get Midwest Security health insurance plans the easy way. With Vista Health Solutions’ advanced quoting system, you can check out instant Midwest Security health insurance quotes and available plans online. Our professional agents will guide you through your options so you can pick the right plan. Our services are available in every state and we offer a wide array of plans from major health insurance companies. 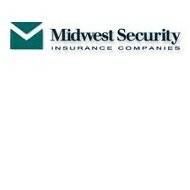 Midwest Security was founded in 1974 and provides quality health insurance coverage to its customers and their families. The clients’ health and wellness are Midwest Security’s number one concern. The company specializes in health insurance plans for small and medium-sized businesses in Illinois, Indiana, Iowa, Michigan, Ohio, and Wisconsin. Members have access to quality services, flexible policy options, excellent care, and effective products.